Supremely stylish, unmatched for versatility and a classic British brand statement, the Brompton Game Bag is as perfect for a city ride to a business meeting as it is for dinner with friends or colleagues. Will Butler-Adams, Brompton Managing Director, said of the project, “I have a Game Bag used by my Grandfather when fishing on the Welsh Dee. It is simple, effective, and beautifully made; I still use it 50 years on. Chapman Bags continue this tradition and share our values in producing a delightful product, fit for purpose, and made to last. In these ways the Game Bag complements our bikes perfectly, and I wish Brompton owners around the world many happy years of using the two together”. Daniel Chamier, CEO Chapman Bags. 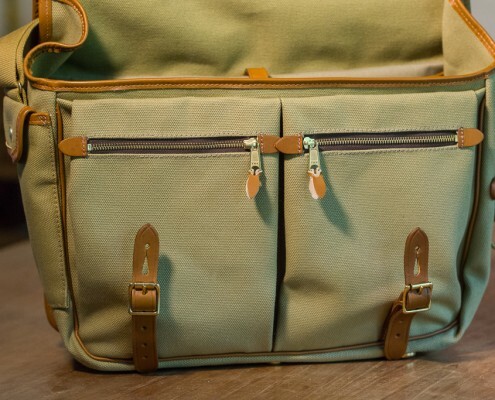 Inside, the Game Bag consists of one main compartment, a padded laptop pocket, two zippered bellows pockets at the front, and one side pocket. Available in three attractive colour options: Olive Green, Navy Blue and Mustard Yellow, the practical bag is finished with full grain leather and solid brass hardware. Like the rest of the Brompton range, the Game Bag benefits from the convenient clip-on clip-off front luggage solution, with a rapid adjusting strap that can be easily stowed for on-bike use. Supremely stylish, unmatched for versatility and a classic British brand statement, the Game Bag is as perfect for a city ride to a business meeting as it is for dinner with friends or colleagues. 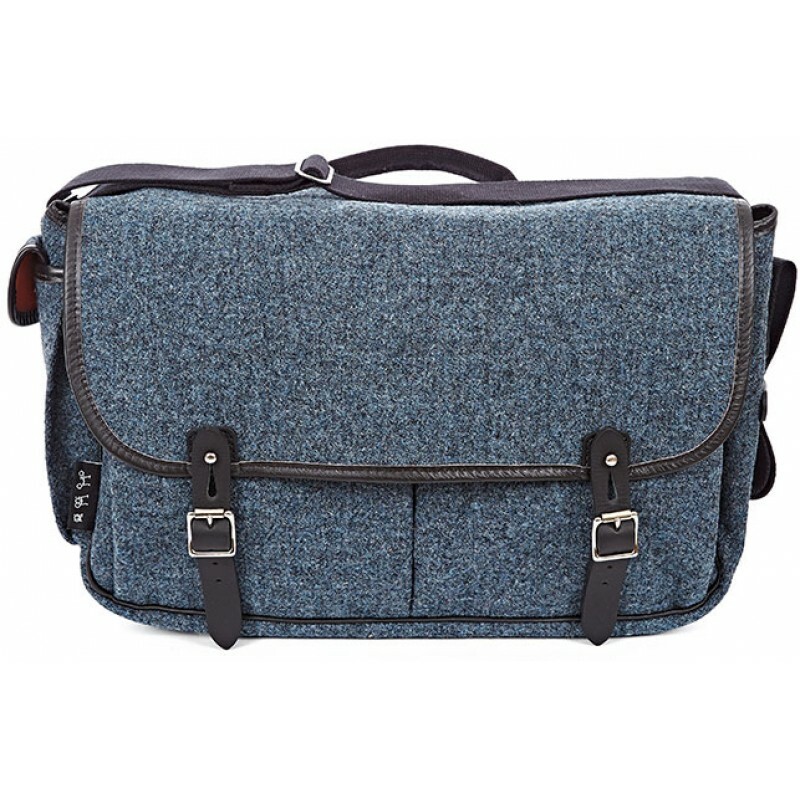 Tag: Brompton Game Bag Storm Grey tweed.